Oh, to have seen this fully lit up at night! The heart bleeds. 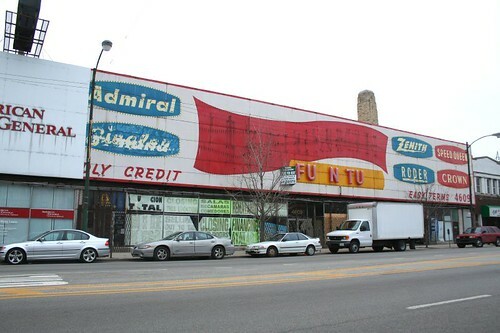 The store is long closed, and the building is for sale — an ill omen for the remnants of that magnificent sign. Edit: I got the name and the location of this place wrong. They’re both corrected now. 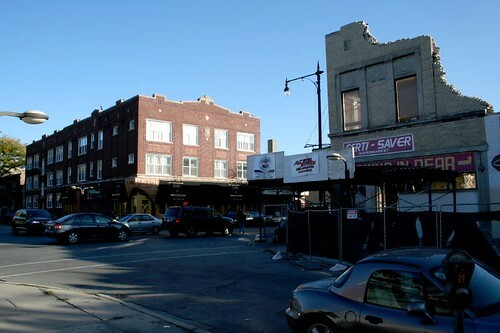 This was, until recently, the charming vista where the Brown Line L crosses Kedzie Avenue — a typical neighborhood commercial center, with stores at the sidewalk and apartments above. 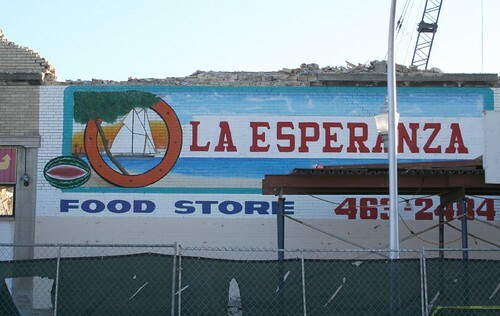 This particular building seems to have held a local Hispanic-run grocer, La Esperanza Food Store. Sadly, it was torn down in the fall, and the site is now an empty lot. 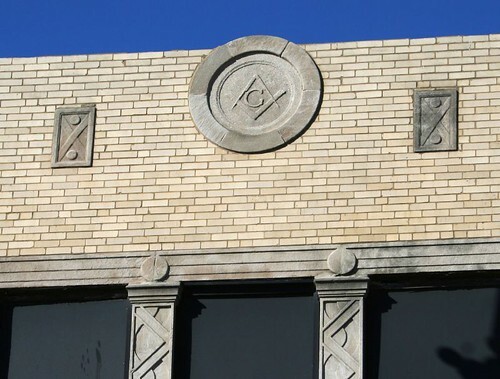 I can only assume that something new will go up to replace the old brick and limestone building, but will it match the destroyed building’s scale, detail and charm? This city’s tearing itself apart far faster than one mere mortal like myself can document.